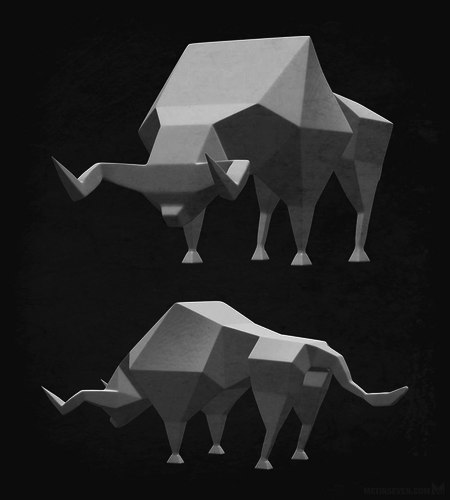 Low-polygon bull model in a minimalistic, artistic style. Predominantly quad polygons, some triangles. If you need a different 3D file format, you can install the free Blender 3D tool and choose from several 3D file export options (some import / export options need to be activated in Blender's preferences).